Get best blinds installing services from Fresh Blinds. It is a renowned business for the installation of all kind of Panel blinds in Melbourne. We provide services including panel blinds Melbourne, panel blinds for sliding doors, panel blinds for windows, panel glide blinds and more. Our team of professionals holds many years of experience in this profession. We have many years of expertise in the blinds installation and cleaning job. We also implement a reasonable discount on specific days. You can contact us and get the same day of services. You can also get in touch with us online too. 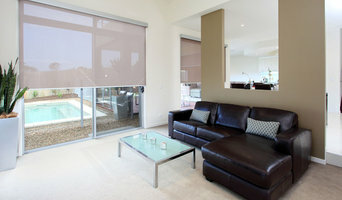 Hire Female Choice Blinds for exceptional blinds installational services. We are widely recognized for our highly praised manufacturing activities. We are equally up to the task when you come to us for awnings as well as shutters, we serve free measure and quote customers in Melbourne. At Female Choice Blinds, we supply and install vertical blinds Melbourne at the very cheapest price. Our service providers are hard-working and experienced in providing the best blind services in Melbourne. We offer vertical blinds Melbourne, best vertical blinds Melbourne, affordable vertical blinds and vertical blind installation. Looking for reliable Plantation Shutters Melbourne? Choose no.1 company Female Choice Blinds for exceptional plantation shutters in all suburbs of Melbourne. We have professionals who have been providing professional services such as, plantation shutters Melbourne, plantation shutters installation, plantation shutters supply, cheap plantation shutters and best plantation shutters Melbourne. Our services providers are well trained and qualified in our profession. We believe in the customer's full satisfaction. So, we are providing our professional services 24 hours in 7 days. We have two decades of experience in our field. You can hire our experts by simply contact us online. 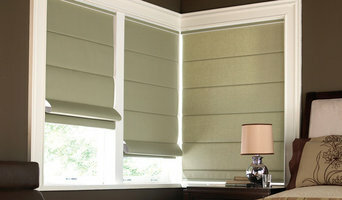 Welcome to Female Choice Blinds - We have been providing the vast range of beautiful patterns of blinds for many years. We have gained over twenty years of expertise and acquaintance. Hire us and get Roller Blinds Melbourne, Roller Blinds Installation, custom roller blinds, cheap roller blinds Melbourne and more. We are more dedicated to our job and always take care of your window screening problems in the right way. We are a team of professionals who have been installing modern and best quality blinds. You will get our services on weekends as well. We render same-day booking too. Simply contact us now! Call the experts of Female Choice Blinds for the most beautiful binds and shades for your windows. You can enhance your windows with our professionals of Female Choice Blinds. We offer professional blinds services including Roman Blinds Melbourne, Roman Blinds Installation and custom roman blinds. We deliver high-quality Romans blinds in all suburbs of Melbourne. Roman blinds rendered by us make a sober and snug effect which can seamlessly blend with wall paint or your wallpaper. Our professionals are trained and experienced to install all types of blinds. So, contact us immediately. Get free quotes also.